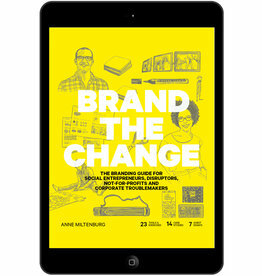 Anne Miltenburg (1981) is a Dutch brand developer living in Kenya. She works in places as diverse as Geneva, Bamako, Seoul, Nairobi, Boston and Riyadh. Educated as a designer at the Royal Academy of Fine Arts, Anne worked for several world-renowned branding agencies. First as a designer, then as a strategist and finally as creative director, before deciding to focus exclusively on using her expertise to advance ideas, people, products and services that catalyze social and environmental change. In 2014 she founded The Brandling, a learning company that focuses on democratizing branding knowledge and building brand thinking skills to help changemakers create a bigger impact by selling themselves better. 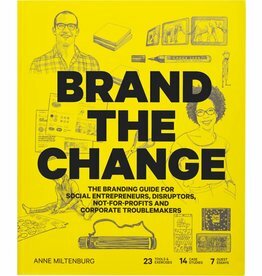 To date, The Brandling has worked with hundreds of social entrepreneurs, startups, activists and corporate troublemakers across the world.